To learn about CeSOS, read our annual report 2012! The Centre for Ships and Ocean Structures (CeSOS, in Norwegian "senter for skip- og havkonstruksjoner") was established as a Centre of Excellence (CoE) by the Research Council of Norway and the Norwegian University of Science and Technology (NTNU) in 2002. It was founded by a number of well-known and well-respected scientists from the Norwegian University of Science and Technology (NTNU) in collaboration with leading staff from Massachusetts Institute of Technology (MIT). 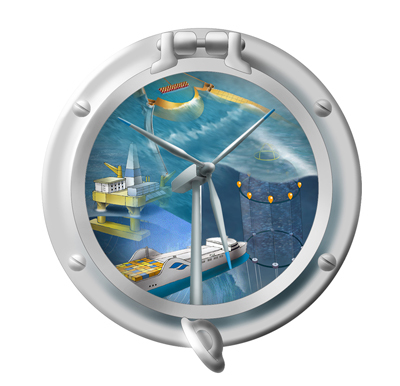 Research at CeSOS aims at developing fundamental knowledge about how ships and other structures behave in the ocean environment, using analytical, numerical and experimental studies. This knowledge is vital, both now and in the future, for the design of safe, cost effective and environmentally friendly structures as well as in the planning and execution of marine operations. The importance of such work cannot be over-emphasised: in tonnage terms 95 percent of all international transport is by sea; and 20 percent of the world’s oil and gas is produced from subsea reservoirs via offshore structures and pipelines. In the future, food production in aquacultural plants and exploitation of renewable energy from the oceans is expected to play a growing role. The scientific and engineering research carried out in the Centre takes account of such future needs, and extends current knowledge in relevant disciplines. The emphasis is on hydrodynamics, structural mechanics and automatic control, and in the synergy between them. In each of the past years, our research projects have proved a valuable basis for the innovative design of structures, risers and automatic control systems. 7 guest lectures have been delivered by national and international visitors to CeSOS in 2012.